Actor R.K.Suresh was impressive as a baddie in Bala's Thaara Thappattai and Vishal's Marudhu. He was recently seen in SAC's Traffic Ramasamy in a supporting role. Currently, he is acting as the hero in two films namely Billa Pandi and Vettai Naai. Both the films are under post-production process. 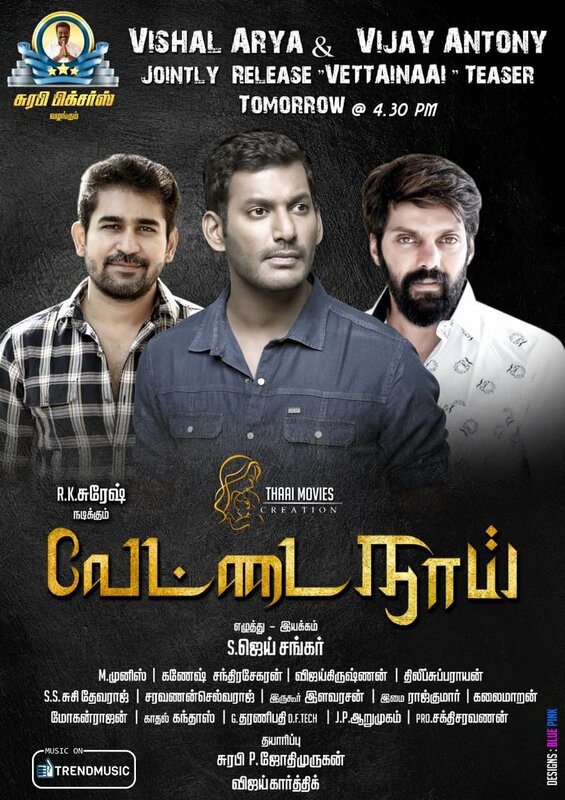 Popular stars Vishal, Arya and Vijay Antony will be launching the teaser of Vettai Naai this evening at 4.30pm in online. Since the promotional activity is on, we can expect the movie to release soon.